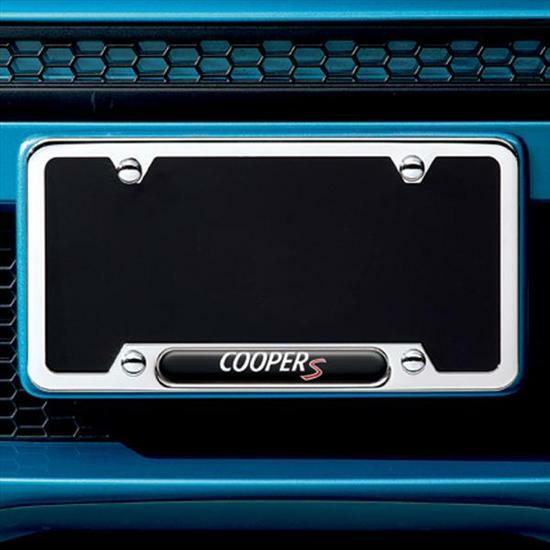 Stylish and functional, frames are a good way to tidy up the edges of your license plates. 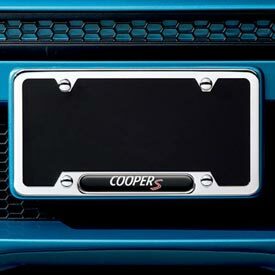 "Cooper S" insignia lets those behind you know what the revolutionary vehicle in front of them is. Available in black and polished.